For a few months now, I’ve been drinking kombucha tea in addition to my daily kefir. Kombucha is an effervescent beverage that tastes similar to a tangy apple cider. It’s sold bottled in health food stores but you can brew your own kombucha tea at a fraction of the cost. There are many health benefits of kombucha as well as warnings on the internet, so do your research and decide if it’s right for you. Jars of sweetened organic green tea ferments for at least seven days. For me, it’s been miraculous. I am pre-diabetic and need to watch what I eat. No rice – no pasta – no bread – no sweets – no joy. After indulging one night at the movies on a bag of M&M’s, my morning blood sugar reading was significantly lower than normal. A binge like that would’ve seen a sure spike and put me in a sleep-induced coma. Coincidence or was it the aqua fit classes? So I did it again (I love peanut M&M’s). There was a definite pattern. Whenever I drank kombucha, glucose readings were lower than when I didn’t. is a living rubbery mat that feeds off the sugar in the tea. From what I can tell, there hasn’t been any medical studies on kombucha tea, except for one done on rats and ducks. Results showed a decrease in bad cholesterol and blood sugar. Again, it’s stuff off the internet, you can’t believe everything your read right? So Hubby is going to be my duck for three months. He will drink a wineglass of kombucha at every meal (lucky he likes it). If kombucha can lower the bad LDL cholesterol and raise the good HDL in ducks, then maybe it will work on Hubby too. Stay tuned for the lab results! A baby scoby forms on the surface. Layers can be split and shared to start new batches. Maybe claims of treating arthritis, joint pain, high blood pressure, reducing grey hair and reversing the aging process is really true too? I’ll let you know in three months! 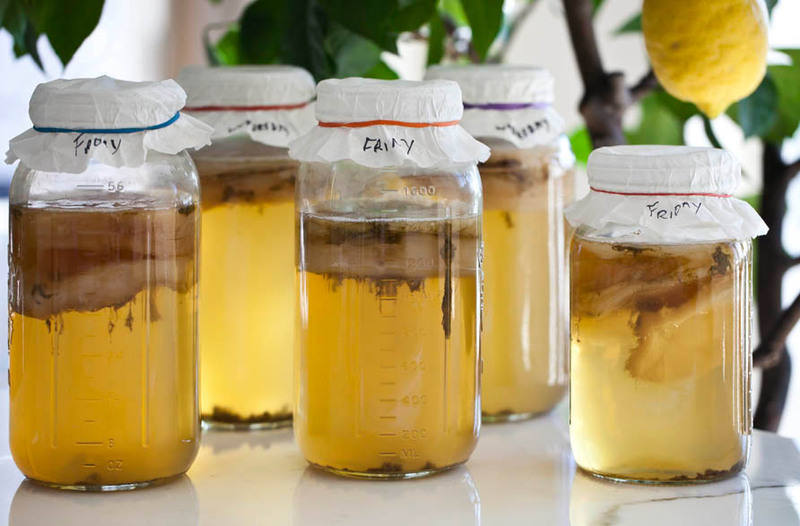 To make kombucha is very simple and takes very little time. I make two batches a week to keep up with demand. Don’t worry about those stringy brown bits, it’s yeast and tea. Bring a gallon (16 cups) of water to a boil and dissolve a cup of sugar. Add eight green or black tea bags (I like green tea) and leave it in till the tea cools. Do NOT add to scoby unless it’s cooled, or the heat will kill it. Like making kefir, cover with something breathable (like a coffee filter) for gas to escape and keep fruit flies out. Here you can see the different layers grown each week. If it gets too thick, peel it off and share, or discard the older layer on the bottom and keep the newer whiter layers. Leave it undisturbed for 7-10 days. The more scoby, the sooner it’s ready. Have a sniff and spoon a taste. If it’s tangy, it’s done. For me the tarter the better. Internet says to test the PH for acidity (3), but the taste test works just fine. It also helps to write down the date so you don’t forget. When the kombucha is done, pour through a sieve to catch any lumpy bits. It won’t kill you to swallow, but it is a bit of a shock to feel something slimy slurp through your throat. Make sure you leave about a cup in each jar. 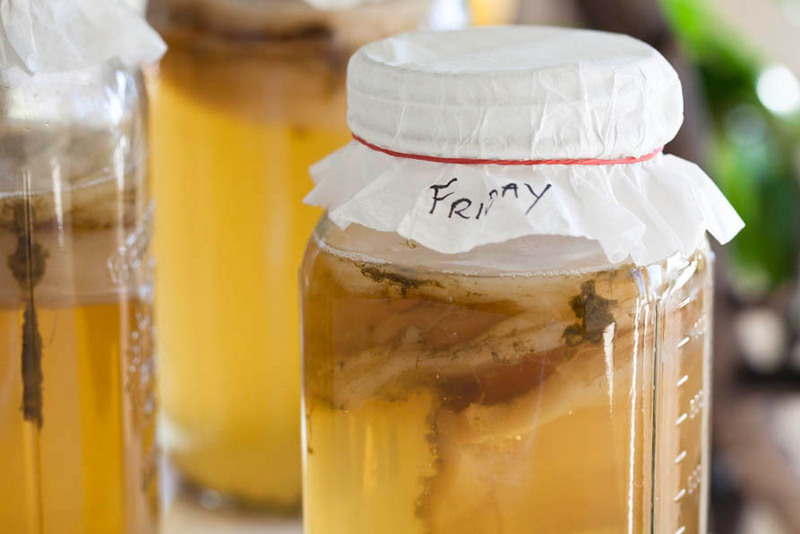 You need a little bit of the kombucha to start your next batch. If you don’t have any, you can use apple cider vinegar. The new batch needs to have an acidic environment to keep away mould. Add your cooled tea, pouring only to the widest part of the shoulder. You want to give the scoby maximum surface area to grow. Cover, and repeat process in a week or so. Kombucha stored in convenient 500mL plastic beer bottles. You can store the strained kombucha in the fridge, or keep tightly sealed at room temperature for a couple of days. This second fermentation is where you can flavour your kombucha by adding fruit juice or ginger. This will give you a more carbonated drink as the yeast in the kombucha will continue to ferment. Be careful not to over carbonate or your bottles will explode. We prefer to keep it simple and enjoy it straight up. Cheers! Boil water, dissolve sugar and add tea. Let it cool to room temperature, heat will kill the scoby. 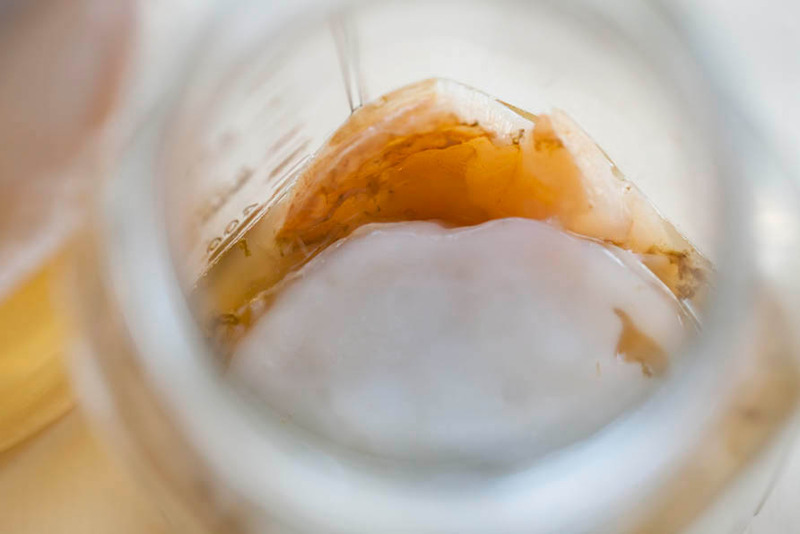 Pour into jar with scoby and a cup of starter kombucha or apple cider vinegar. Cover with breathable cover, secure with rubber band. Let it ferment away from direct sunlight, for 7-10 days, depending on ambient temperature, times will vary. Check by tasting. The more sour, the better nutritionally. Strain and store in airtight bottles if you want slight carbonation, or simply store in a juice pitcher. For second fermentation and flavouring, add desire fruit juice, dried fruit or ginger and keep at room temperature for a few more days in an airtight container. Caution when opening as contents will be under pressure. Will Donnelly - Hi there! Your cultures are looking great as well as your photos and blog. I work with Kombucha Brooklyn down in New York, and love to see people getting hands on with brewing kombucha. I would just advise any brewers out there reading this that cheese cloth (a common go-to) is too porous for a cover – coffee filters, cotton cloth or even a square of t-shirt works the best. If you feel like passing along your hubby’s results, I would be happy to feature it on our site. Not that we claim to be doctors, but we think kombucha is great, and that people’s personal claims hold value as well. All The best and keep brewing! Will Donnelly - Whoops! 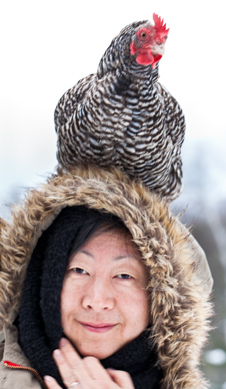 my email is will@kombuchabrooklyn.com – not sure if you can see it or not as an admin. Check out our site, http://www.kombuchabrooklyn.com as well, would love to hear what you think. Peter Lynch - Hi Jill, just wanted to get clarification on scoby. If I don’t have any, all I have to do is prepare the tea as described, and add apple cider vinegar? I have never had kombucha, but I want to try it, but I also don’t want to spend money if I am not going to like it. Can I just boil water, add sugar and tea bag, and about an ounce of vinegar, cover, and drink? Sounds scary, but I am game. Newbie Kombucha Drinker - Very excited about the health benefits of kombucha and very much appreciate your blog! I’ll keeep my fingers crossed that you get the results you are hoping for regarding your hubby’s cholesterol. In the meantime I would like to start brewing my own. Maybe I missed it but I’m not sure about where to get a good starter skoby and secondly, what size jar are you using for this gallon recipe? Do I need a scoby for each jar? Your time and response here are greatly appreciated!